Hello and welcome to my blog! I’m Rachel, a Wedding and Lifestyle Photographer based in Central Florida. I love sharing all of my recent photos as well as wedding planning advice, education for photographers, my sweet little family, and some of the behind the scenes of my business. Thanks for stopping by, have fun exploring my little corner of the internet! Have you ever looked at someone’s instagram feed and thought, how do they do it? How are their images so bright and fun? You settle with saying that they probably have a professional camera and that’s how they are doing it. But I am telling you something….some of my images on social media ARE TAKEN WITH MY IPHONE! SHUT THE FRONT DOOR! Yes, I am here to share my editing process with you because I want to see your photos speak! I want your feed to be a creative and inspiring place for others! Let’s be honest, dark, grainy images are for the flip phone days. But we have all snapped those dark images and thought, man! I wish I could photograph this experience and show people how much fun I had in the moment. I’m here to tell you it can be done, with a few tweaks and $2.99. If you’re interested, keep scrolling…and if you learn anything from this post, please post your images with the hashtag #rlpmentoring so I can see your edits! Wow! Pulling up to Ever After Farms, I was in shock at how gorgeous the blueberry fields were. For a moment, I forgot I was in Florida! Chante and Ben booked me a few weeks prior and asked if I had ever photographed a wedding at this unique wedding venue and I explained that I hadn’t but after seeing the photos online, I knew it would be a dream to photograph at! There is a gorgeous barn filled with a wall of beautiful glass windows overlooking the vineyard. Besides the amazing nature surrounding the venue, the farm also has a gorgeous swing covered in florals and white carriage perfect for wedding photos. I did my headshots in Target! I needed updated headshots so when my fellow photographer friend, Brittany mentioned that we should swap headshots, I was so on board! 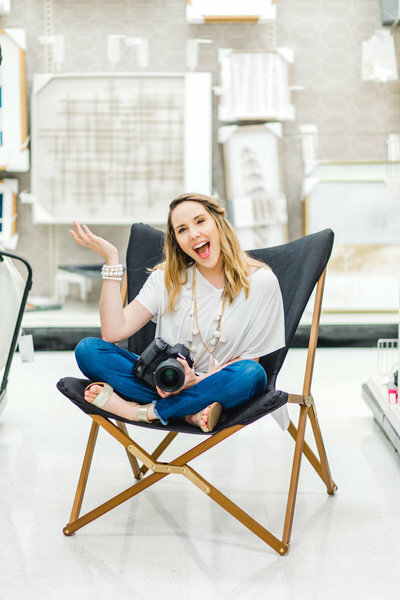 When we decided that we should do them in Target, I was already coming up with outfit ideas and imagining how amazing these photos would capture my life. Let me tell you that they did even more than that! These photos captured my personality, my love for target and my love for my daughter! This session was one of the most fun days that I’ve had in a while. We spent over 3 hours walking through the aisles and getting inspired, which is SO easy to do in Target. If you know anything about me, you know I love handbags, sunglasses and anything girly so we explored all of those. The best part of the day was definitely when I was tossing bags into the air and an employee walked by and I thought for sure we would be asked to leave, when she stopped and said “You girls are having too much fun, I love it”. That is why you can find me almost daily strolling these red aisles! Matt and Stacy and I sat in a Starbucks discussing my wedding collections and our love for dogs when Stacy looked at me and smiled ear to ear saying they were ready to book. I played cool, but inside I was SCREAMING! This couple was one of the cutest couples I had ever met and I knew posing would be minimal because they shared a love that exuded from them naturally. When Taylor and Cameron told me they wanted a carnival session, I was all about it! I cannot tell you how excited I was to do this session. We rode the ferris wheel, ate cotton candy and can’t forget the bumper cars! Everything about this engagement session had me reminiscing my childhood.